For a driven 2nd grader aspiring to be a police officer, nothing is more discouraging than slipping grades in school. Ronny, age 7, was having a hard time seeing and learning information in class and this was reflected in his grades which later caused him to be held back for a whole year. Despite being moved to the front of the classroom, Ronny’s need for glasses was evident in his daily life as he continued to struggle. 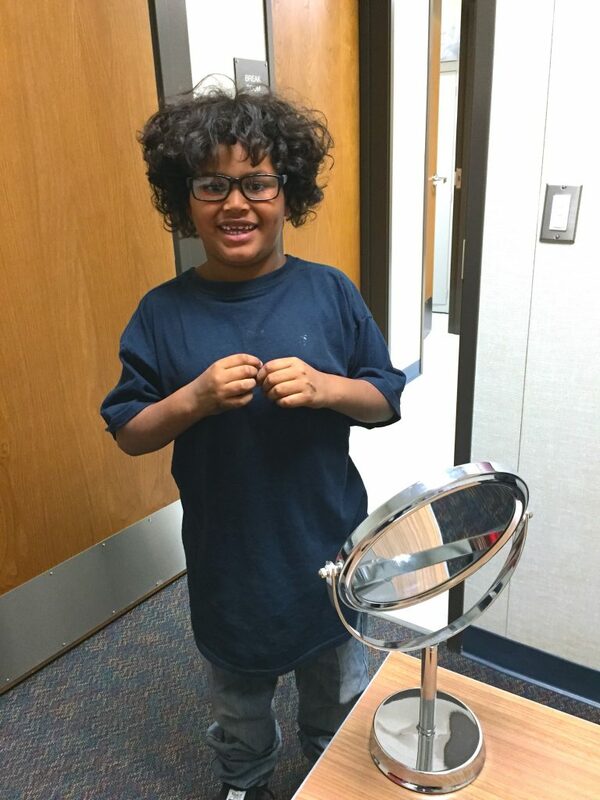 He is beyond excited to see life through his first pair of glasses and chase his dreams of becoming a police officer—with nothing standing in his way. You can help dreams come true, by donating a pair of glasses that can change someone’s trajectory. Change a life now.